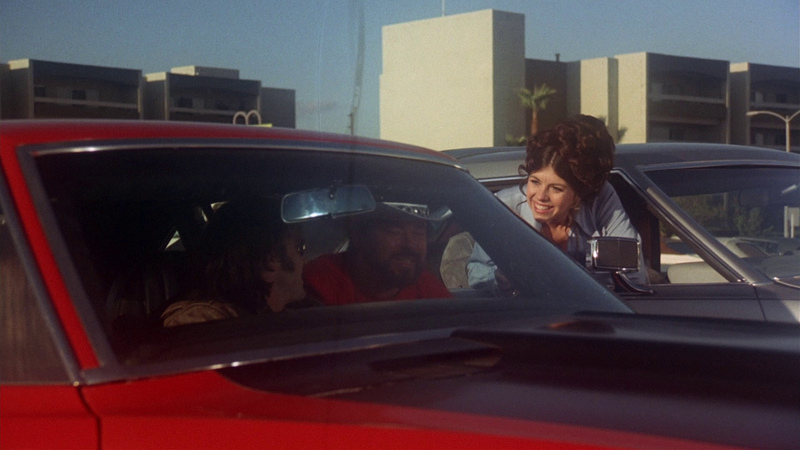 Bobby has a new '68 Camaro and a dead-end job. 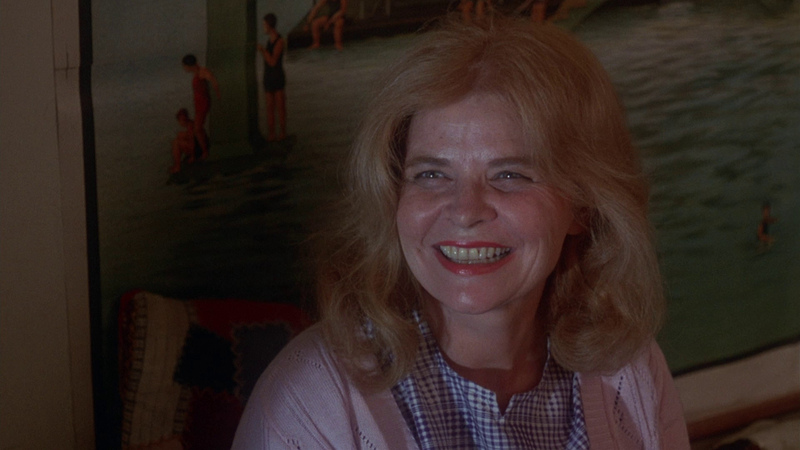 Rose has a young son and a nowhere life. 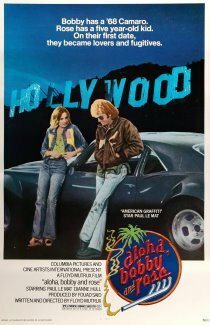 One night, they meet, fall in love and share a dream of leaving the seedy side of Hollywood for the easy life of Hawaii. 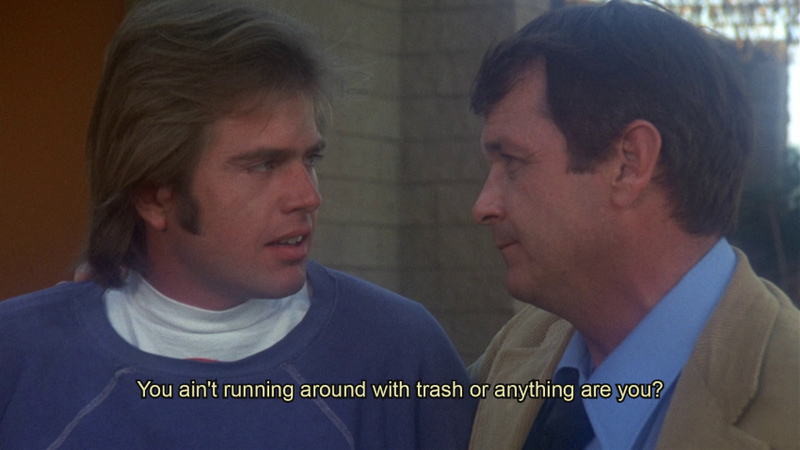 But when an innocent prank goes tragically wrong, Bobby and Rose are on the run from the law and for their lives. 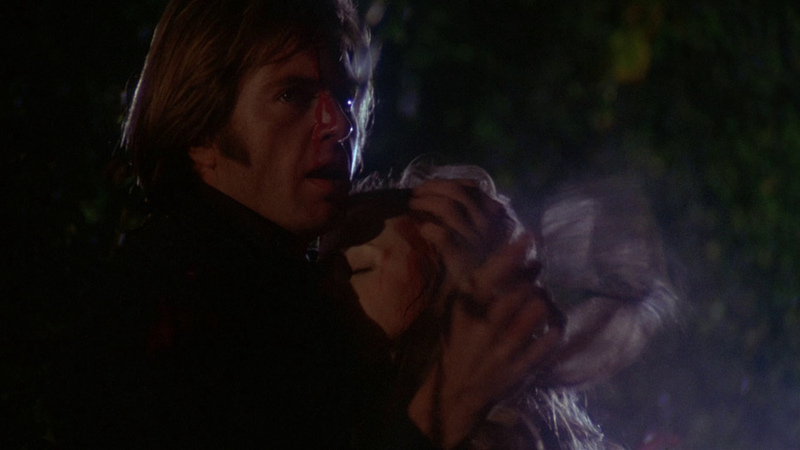 As they take to the highway, they find that paradise is just out of reach...and that aloha can also mean goodbye. 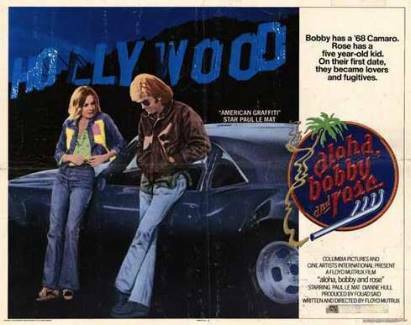 Aloha, Bobby and Rose stars Paul Le Mat (Melvin & Howard, Puppetmaster, American Graffiti) and Dianne Hull (Girls On The Road), with Robert Carradine (Body Bags), Tim McIntire (The Choirboys, Fast Walking) and Edward James Olmos (in his first feature credited role). Featuring classic songs by Elton John, Bob Dylan, Emerson, Lake and Palmer, Jr. Walker and The All-Stars and The Temptations. 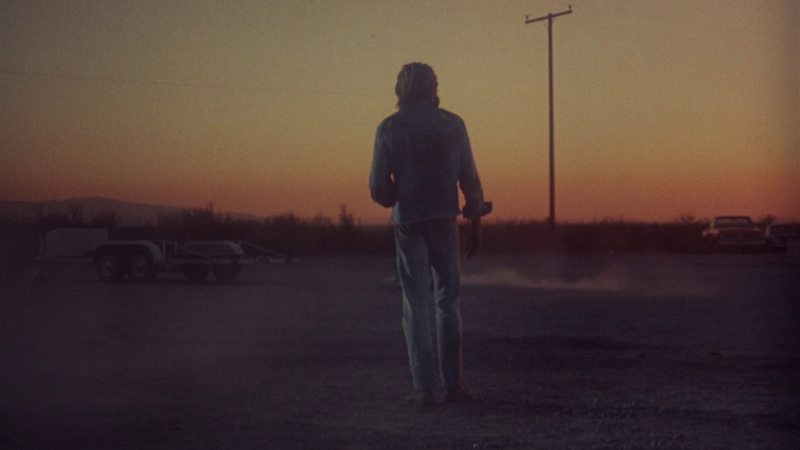 This is a road movie like you've never seen...and a love story you'll never forget from a brand new HD master! 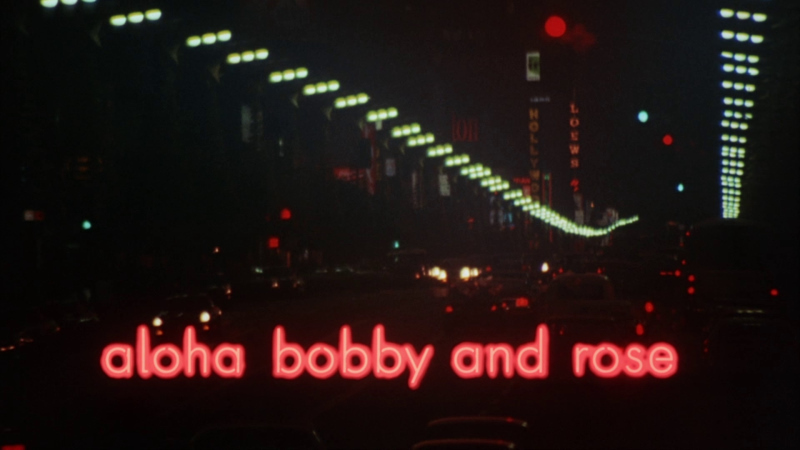 Aloha, Bobby & Rose was conceived and promoted as a contemporary Bonnie and Clyde. 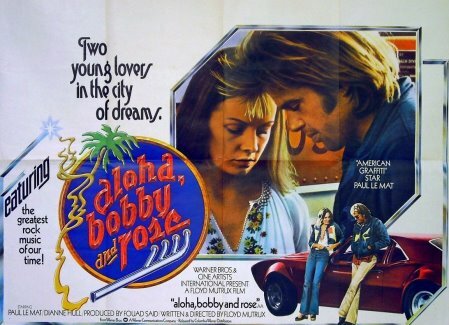 Paul Le Mat plays Bobby, an auto mechanic, while Diane Hull is Rose, a car-wash jockey; the two fall in love and dream of heading off to Hawaii, hence the title. 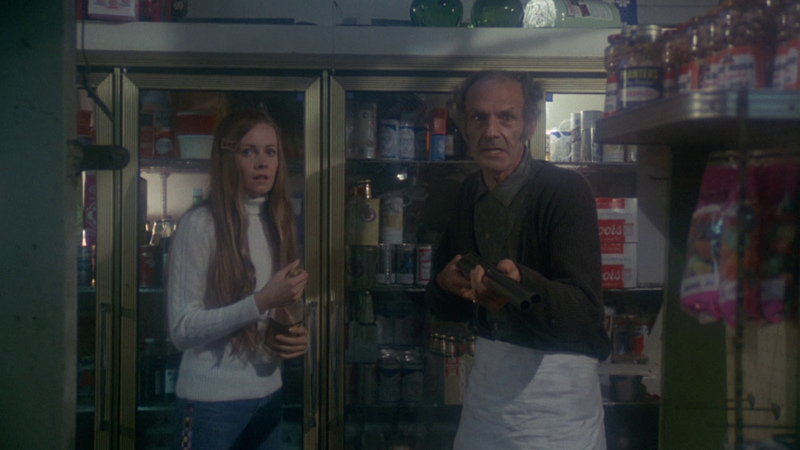 Responsible for an accidental homicide, Bobby and Rose are then forced to take it on the lam. 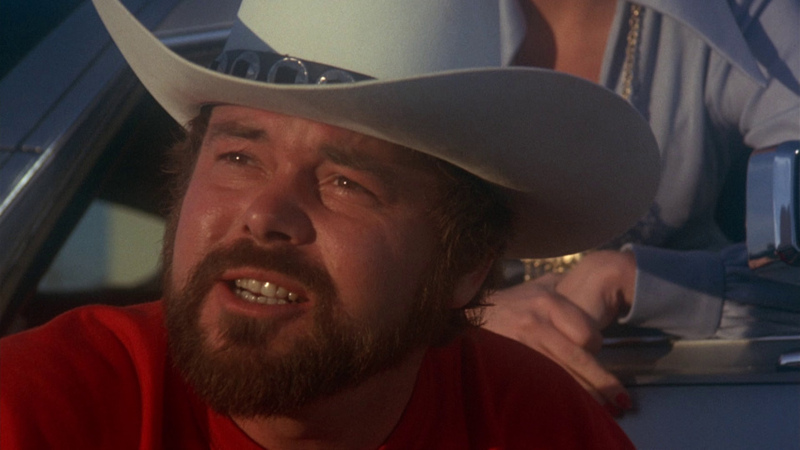 ADDITION: (August 2018) Scorpion Releasing - Region FREE - Blu-ray: This mid-70s Americana-themed film comes to us via Scorpion Releasing on a, Region FREE, dual-layered Blu-ray. 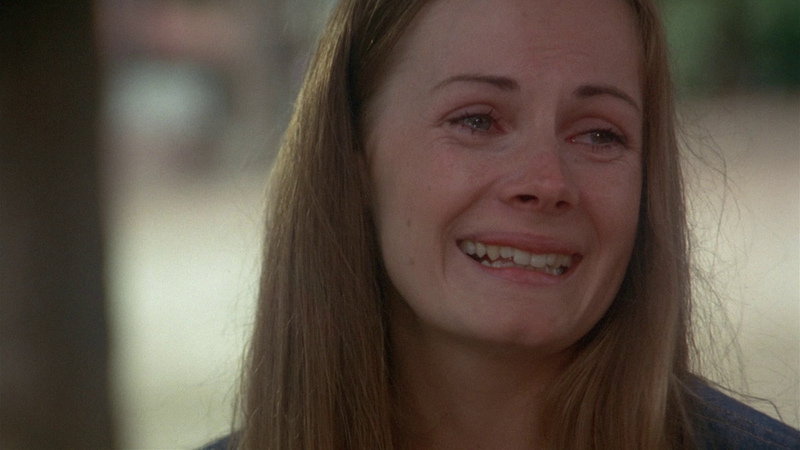 The 1.78:1 image is exported with a reasonable bitrate. 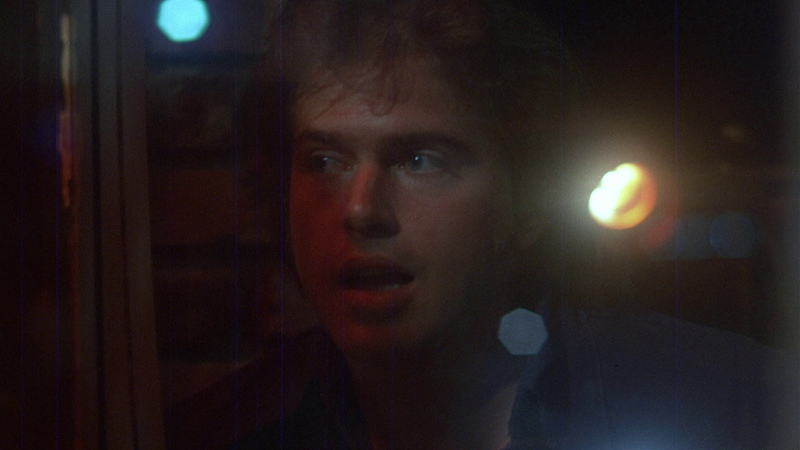 The colors seemed dull and faded with a very smokey-lensed look of the film being accurately exported. 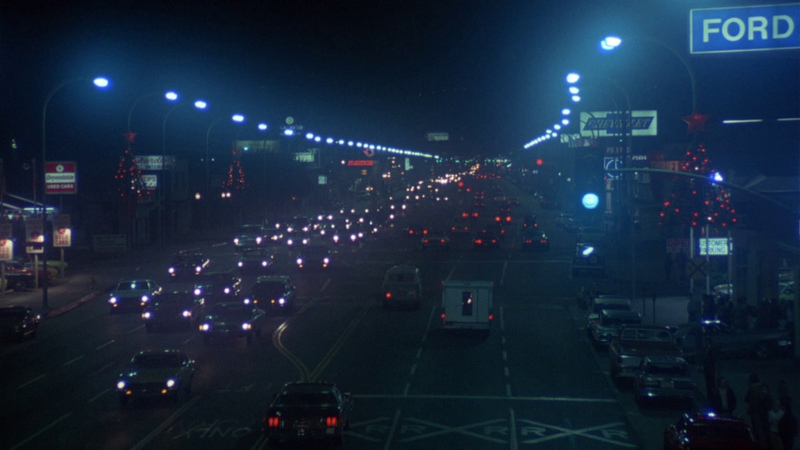 It is not dynamic with strong depth but this would be in accordance with the heavy-look of the original film that had a v�rit� feel of realism. There are some damage marks - but they are mostly frame-specific with one sequences of unusual purple vertical scratches. 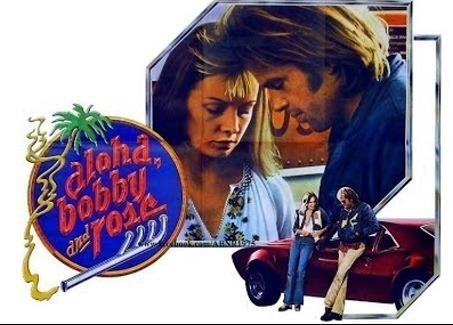 "Aloha Bobby and Rose" is given a 24-bit DTS-HD Master track in the original English language. 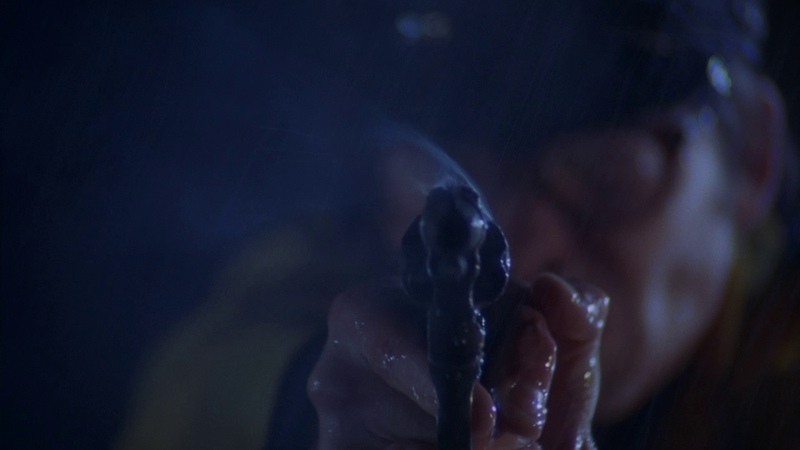 There is gunfire with modest depth but the score is one of the highlights of the film - credited to Jaime Mendoza-Nava (The Stewardesses, The Town That Dreaded Sundown, Grave of the Vampire and Equinox) but the film's music is a huge plus starting with Elton John (Bennie and the Jets, Your Song, Tiny Dancer and Honky Cat), Stevie Wonder, Emerson Lake and Palmer, Jr. Walker and the All Stars, The Temptations, Little Eva etc.. 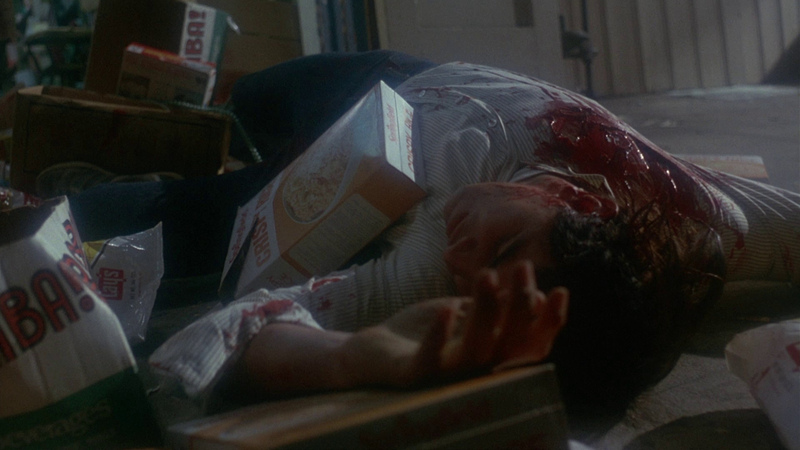 Although not crisp the music is wonderful in lossless. There are optional English subtitles (see sample) offered on this Region-Free Blu-ray. 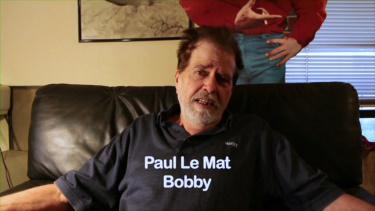 Scorpion Releasing have provided interviews with with star Paul Le Mat for 23-minutes. 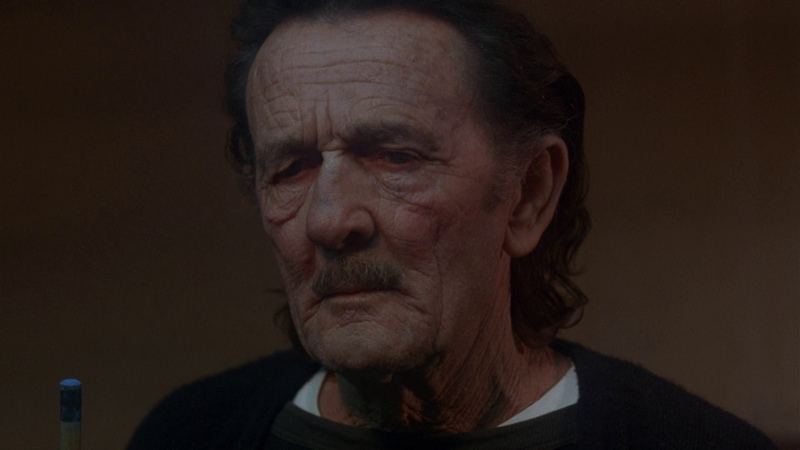 He has... aged. 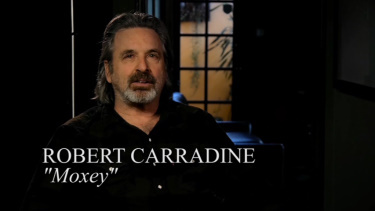 Also included is a 9-minute interview with Robert Carradine although his role was relatively brief in the film. 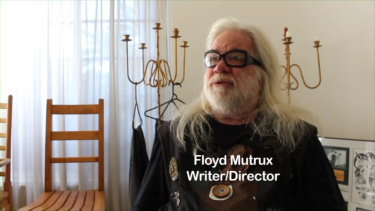 Lastly is director Floyd Mutrux for almost 14-minutes and his recollection of the film and working with the stars. Lastly, is a trailer. 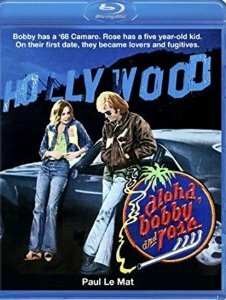 Scorpion Releasing's Blu-ray of "Aloha Bobby and Rose" provides a modest presentation that is more a factor of the manner the film was shot and the source utilized than anything that could have been done with the technical transfer. It's certainly exceeds SD. 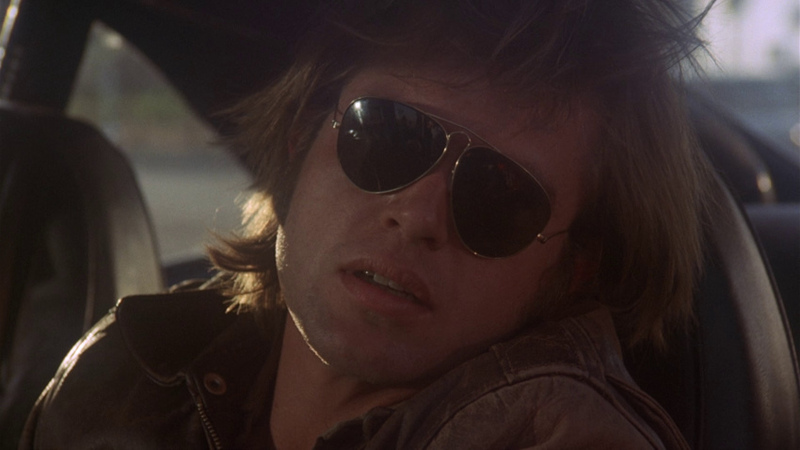 The film still holds its youth and desperation - a melancholy culmination of the end of an era and small loss of freedom. 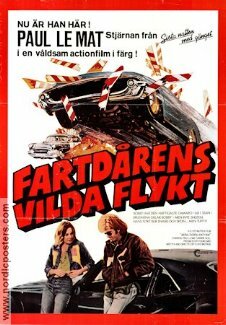 I think there is merit in this film that I haven't seen for 40 years. It captured something... and I think many may value seeing this. Recommended! or CLICK PayPal logo to donate!